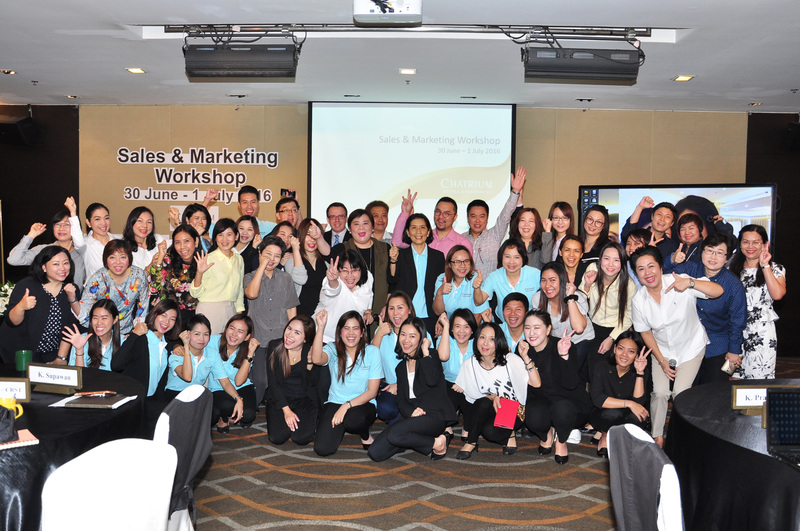 Chatrium Hotels & Residences organises a Sales & Marketing Workshop at Chatrium Hotel Riverside Bangkok from June 30th to July 1st, 2016. 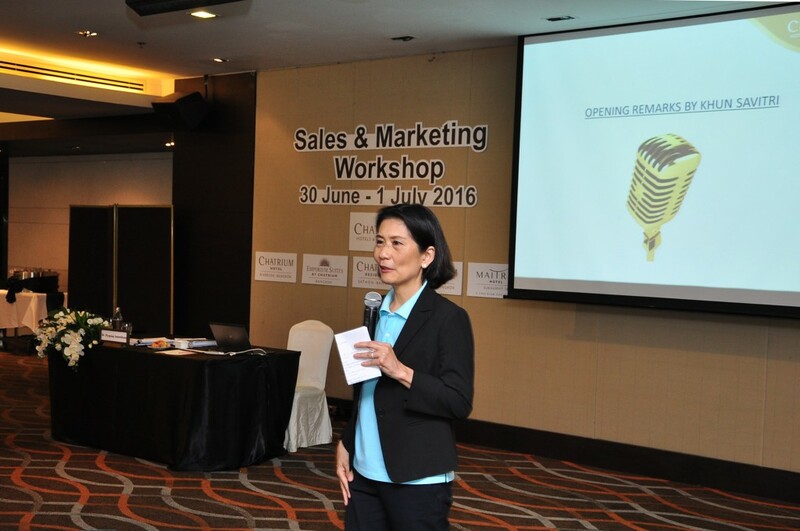 Led by Managing Director, Mrs. Savitri Ramyarupa, the workshop is being attended by Chatrium’s Management and corporate team members. 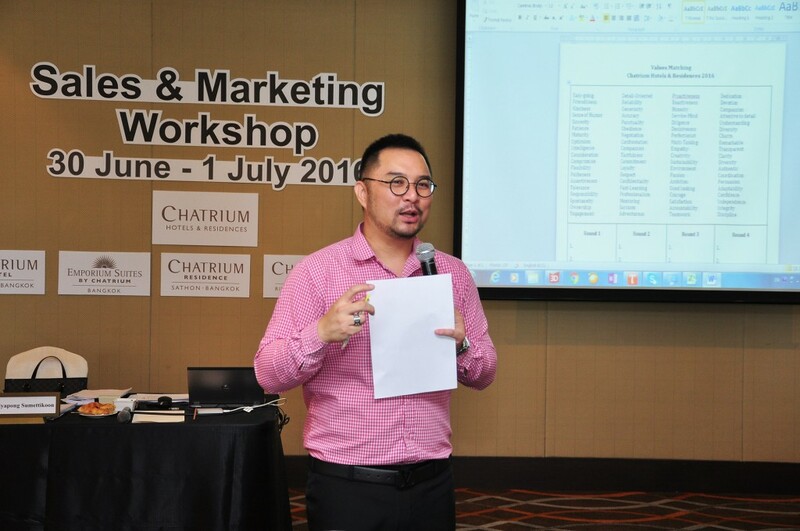 Dr. Piyapong Sumettikoon, a lecturer from Chulalongkorn University, is training all attendants from Sales & Marketing in new strategies and techniques.